There are a million reasons and the answer will vary widely depending on who you ask. But one of the reasons writers write is to inspire people. I know that’s one of my goals in writing this blog. That’s why I was so touched when Cat Michaels, an author of chapter books for young readers and a blogger herself at Cat’s Corner, nominated me for a Very Inspiring Blogger (VIB) Award. 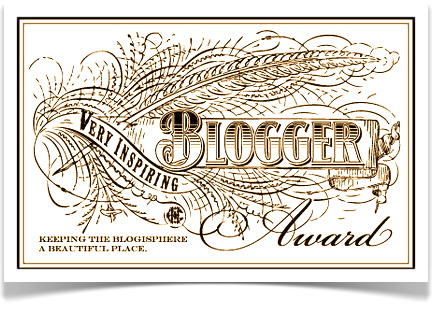 This award recognizes bloggers who work hard to keep the blogosphere a beautiful place. Cat is an inspiring woman herself. She earned a master’s degree in special education and helped students with learning disabilities from kindergarten to college for more than two decades. Cat builds on her teaching experiences to write illustrated chapter books for young readers. To connect with Cat, you can visit her website and blog. I’m sure you’ll enjoy this talented author’s literary offerings. So, a big thank-you, Cat! It is indeed an honor to receive this award. As part of the VIB tradition, I was asked to do two things: reveal a few things about myself and pay it forward by nominating other bloggers who inspire me. I’ve kept a diary since I was 12. Everyone, including my family, friends, and even my boyfriend (now my husband of 37 years), couldn’t keep their hands off them during my teen years. That’s when I decided, if people were going to read my stuff, I was going to make a living out of it! My first YA novel was loosely based on those diaries. I have a chip on my tooth I cannot quit picking on when I’m nervous or thinking which drives hubby a bit crazy. Writing is my only creative talent. Do not ask me to sing, paint, or craft. I am a klutz. While white water rafting on a 5-plus rated river in New Zealand, our boat flipped; I had my first-ever panic attack while getting certified for scuba diving; and I almost ran into a building while parasailing in Mexico. I’ve wisely given up all thrill sports. I love the taste of chocolate and beer together and for some unfathomable reason I cannot figure out, am addicted to The Bachelor. It’s my dirty, little secret. I’ve been reading Marquita’s blogs for a while now and love her articles that are designed to help people not simply survive life’s challenges and adversities, but thrive by finding their inner strength. She aims to help people let go of fear, reject settling for ‘good enough,’ and become the person they were meant to be. I am always inspired by her insightful blogs that encourage all of us to create a more fulfilling life. Diane writes from the heart. She has personally experienced challenges that many face during midlife including being laid off from her job in a large corporation and facing divorce after her long marriage came to the end. 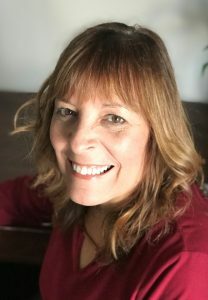 She has turned her life around by becoming a Midlife Woman’s Career Coach and writes blogs to help women discover new possibilities and new levels of personal and professional success. We bloggers absolutely love feedback. You’ll make their day if you visit these Very Inspired Bloggers and leave a ‘like’ and/or a comment. I encourage you to take a peek at each of one their blogs and get inspired! This entry was posted in Baby Boomer, Happiness on February 26, 2015 by juliegorges. Congratulations Julie on your well deserved recognition! I’m grateful for the nomination – and especially humbled that it comes from you. It’s an honour to be mentioned in the same breath as you, Marquita and Diane – all women of integrity with wisdom to share through their powerful writing 🙂 Thanks Julie. Thank you so much Julie! I agree with Marla about what an honor it is to be recognized and (especially) included among such an impressive group of writers such as yourself, Marla and Diane! So glad to be in all of your company as well – all of your blogs have been so inspiring to me, so was happy to nominate you all for the Very Inspiring Blog Award! Julie, congratulations on your VIB award. I’m honored to be recognized by you – and to be in the company of Marla and Marquita. Since we’ve “met” online, I have enjoyed reading your inspiring blog as well as theirs. Your posts always bring a little “happy” into my day. I’m looking forward to paying it forward. Thank you so much! Thanks Diane! I love your inspiring story and enjoy your blogs – so it was a no-brainer to nominate you for the Very Inspiring Blog award! Congrats! Julie, I love your blog and writerly voice! And now I know five more things about you (Next time I try beer and chocolate, I’ll think of you -:D), plus I look forward to meeting the talented bloggers you nominated! Thanks Cat! And back at you. Love your writings as well!